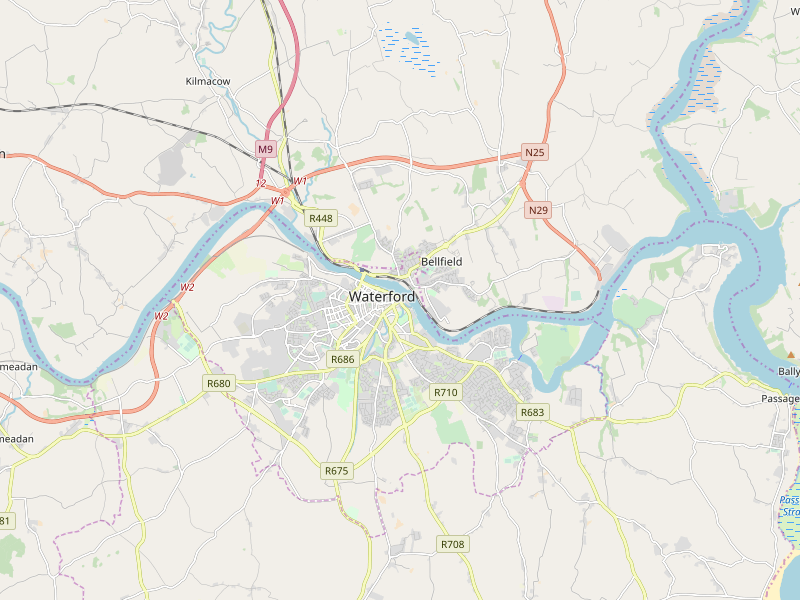 Development Address: Mothel & Curraghduff townlands Co. Waterford. Development Description: development consisting of the construction of a residential development comprising of the following: 90 no. dwellings consisting of; 24 no. apartments in 3 no. 2 storey blocks containing 4 no. 2-bed and 4 no. 1-bed apartments in each block; 46 no. 2 storey 3-bed semi-detached dwellings with optional attic conversion and/or ground floor sunroom; 20 no. 2 storey 4-bed semi-detached dwellings with optional attic conversion and/or ground floor sunroom (Phase 3). Permission is also sought for access from the proposed new Kilbarry LIHAF Road, drainage and water connections to include pumphouse, rising main with new entrance from the public road (Lacken Road); all associated site works; landscaping and boundary treatments. This application is associated with a concurrent planning application being lodged with WCCC for 92 no. dwellings on adjoining lands. A Natura Impact Statement (NIS) and Environmental Impact Assessment Report (EIAR) accompany this application. Development Description: development will consist of the construction of a residential development comprising of the following: 92 no. dwellings consisting of: 24 no. apartments in 3 no. 2 storey blocks containing 4 no. 2-bed and 4 no. 1-bed apartments in each block; 46 no. 2 storey 3-bed semi-detached dwellings with optional attic conversion and/or ground floor sunroom; 22 no. 2 storey 4-bed semi-detached dwellings with optional attic conversion and/or ground floor sunroom. Permission is also sought for access from the proposed new Kilbarry LIHAF Road; drainage and water connections to incude pumphouse, rising main with new entrance from the public road (Lacken Road); all associated site works; landscaping and boundary treatments. This application is associated with a concurrent planning application being lodged with WCCC for 90 no. dwellings on adjoining lands. A Natura Impact Statement (NIS) and Environmental Impact Assessment Report (EIAR) accompany this application.